TenStep est un cabinet international de consulting, de coaching et de formation agréé par le Project Management Institute, PMI, consacré à l’amélioration continue du management de projets, de programmes, de portefeuilles et de PMOs. Grâce à notre implantation internationale nous pouvons vous aider à déployer ces initiatives autour du monde. p/box 10100, 32-A, Chkalov str. Managing Director, TenStep USA, a company focused on methodology development, training and consulting. Krasnoff’s expertise includes program/project management, portfolio management planning and execution, and building PMOs. This includes directing and managing enterprise web-based and multi-platform application development programs, and defining/deploying program and project infrastructures to achieve company business strategies. She has been responsible for IT development groups and has leveraged her experience into training and consulting in her areas of expertise. While at TenStep, Krasnoff has spoken on the subjects of project management, GreenPM™, project management offices, and portfolio management. Work experience includes Andersen Consulting, CAP Gemini, The Coca-Cola Company, and Network Communications Inc.
Grass is an experienced international project manager and instructor. He has been involved in a variety of telecommunications projects from network operations implementations to cellular company start-ups. He has worked in cooperation with many of the larges international telecommunications systems suppliers, IBM, Amdocs, Nortel e CGI to implement both IT and Network systems. He has formerly worked for Bell Canada, Telesystems International, Bell Canada International and Expertech Network Installations. González has more than 25 years of experience in IT Management as well as in management positions in leading corporations. He was in charge of PMO Definition and Implementation in Ripley, one of the leading corporations in retail industry in South America. As the result of this project, he has been awarded as CA CLARITY VIP AWARD 2007. González has been in charge of big projects in bank, retail, marketing, and agro industry corporations and has served as the CIO at Comercial Maipo, Osorno y La Unión Bank, and COMICROM. Since 1998, González has specialized in project management, software engineering, methodology design and implementation. He has been enrolled in formal education around the PMBOK® Guide, RUP, CMMI and ITIL frameworks, and has led projects related to these frameworks in several corporations such as: Falabella, Nexus, Molymet, SINACOFI, Security Group, Banco Falabella, CODELCO, Banco de Chile, and Banco BICE, among others. Holder has over 15 years’ experience leading and managing project teams for Scotiabank International Cards Acquisition Division, Fortessa Inc. (USA) and multilateral agency project in the Caribbean. Her core capabilities include industry research, market intelligence, business development strategies and implementation. Holder has been a trainer for nine (9) years, particularly to business managers and owners. Casabonne currently works worldwide as management consultant, coach and trainer, focused on project management, project management office – PMO – and portfolio management. In his spare time, he lectures on project management at the post graduate and Executive MBA programs of the Reutlingen University and the Furtwangen University (Germany). Manos has fifteen years of experience as a Project Manager in various national and international ICT composite projects. He has managed national e-learning projects for the last five years and has been a member of the advisory board of many ICT and consulting companies. Tolis has twenty years of experience performing business training, train the trainer, and project management in Greece, Cyprus, and the Middle East. He has been managing national and international IT / e-learning projects for more than ten years and has worked as a consultant on many Learning and Development projects in the public and private sector. Blesson demonstrates over 12 years of strong and proven international experience in leadership, program, project, processes and information system management, with consultant, senior and executive positions at Microsoft WECA, Orange CI, MTN Guinea, Aeroplan Air Canada, Amdocs Canada, Interfacing Technologies Canada and 2B Consulting CI. Shimizu began working in project management in the early 1980s, and delivered several PM related papers in the field of construction on the activities of Construction Management Committee of JSCE. Shimizu was engaged in the development of the Port of Colombo (ODA of Japanese Government) for 14 years as the Consulting Engineer (the Engineer) and gained experience in project/program/portfolio management. Shimizu joined a foundation (Think-tank) for a Ministry and promoted PM in Japan as a secretary general and a director of PMI Japan chapter for 6 years and 4 years respectively. Shimizu is a chair/representative director for Project Management Incubation Association (Assigned Non-profit Organization). Valdés has more than 24 years of experience in Project Management, working mainly in the fields of IT Operations, Infrastructure & Communication Services, He also has solid experience in performance measurement, strategic planning, PMO design, deployment and operation, project portfolio management, process design and deployment, and business process modeling and reengineering. He has been invited as a guest professor at UNAM, ITAM, UNITEC and Jones International University (JIU), where he has taught several advanced Project Management Classes. He has conducted projects in México, Colombia, and Chile, and has been invited as a guest speaker at UNAM, Costa Rican PMI’s Chapter, Software Guru, and other important forums. He joined the TenStep business network in 2001. Since then, he has been the Managing Director of TenStep Latinoamérica, which covers all Spanish speaking countries and regions of America. Pelletier has more than 25 years in IT, with 21 years in consulting and 14 years in the project management world. She has executed many mandates as project manager, project director, PMO director or project management advisor. Most recently, her primary focus has been in PMO startup, project management & portfolio management implementation. She has also participated in the startup of the PMO Community of Practice with the PMI Montreal. Her work experience includes many consulting firms, Canadian banks, and insurance companies. Chassat has over 25 years’ experience in project management, program management and in many varieties of projects and industries. His experience has primarily been in the finance industry in the last years. He has successfully managed projects of all sizes. In the most recent years, his primary focus has been the development of service strategy consulting, project management and change management for large companies. Michel’s two great passions are golf and music. Debbagh has thirty years of experience in managing national and international projects and programs. As secretary general of the Ministry in charge of information technology, he led the national strategic plan "Digital Morocco”, being particularly in charge of human resources and cybersecurity programs. His international experience led him to direct the PMO of United Nations’ International Telecommunication Union (ITU) in Geneva, by introducing project management guidelines compliant with the PMBOK Guide. Debbagh is co-author of the French translation of the Method123 documentation. His experience allows him to work on high value added missions in the fields of strategy development, implementation of PMOs and change management. 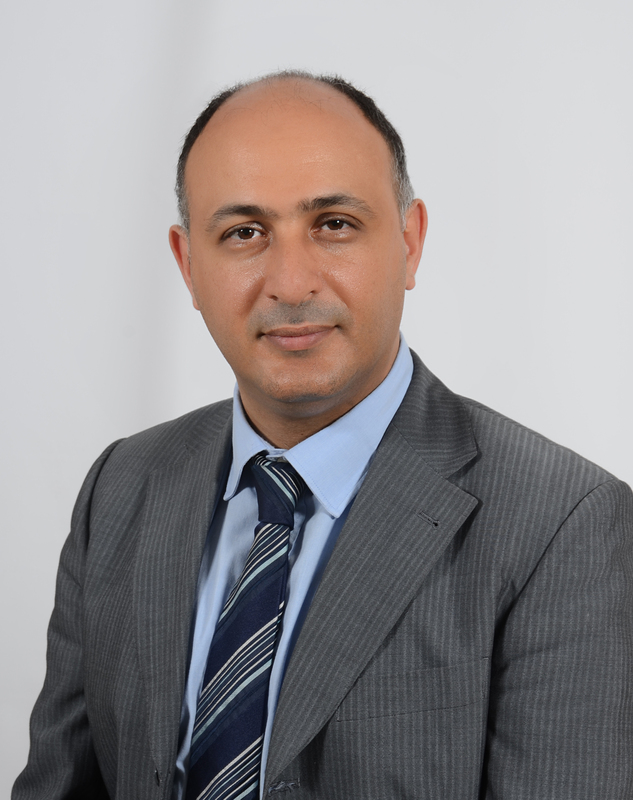 With over 20 years’ experience in the audit of information and project management systems, Zaghloul has participated in numerous consulting projects, implementation and auditing for diverse companies and organizations. He served as auditor in one of the four major accounting firms. He has also worked as consultant for the integration of ERP financial modules and run Consilium, a consulting firm specialized in governance, IT security, project and risk management. 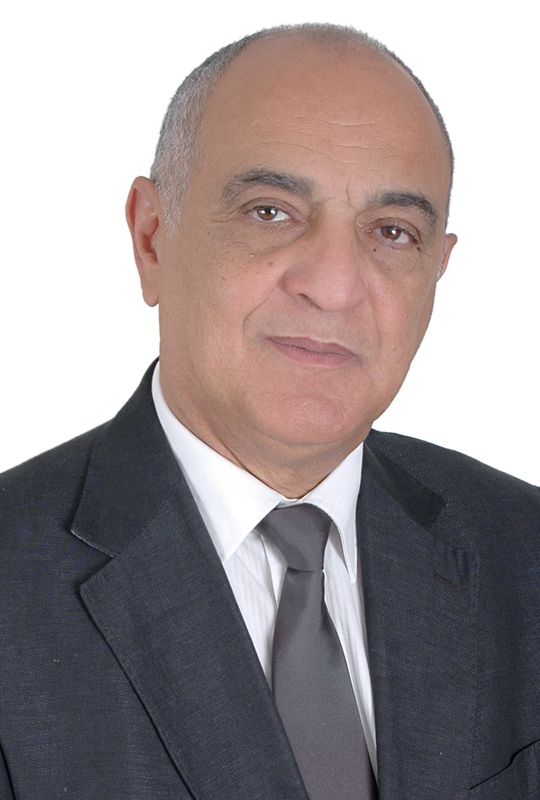 Zaghloul is currently president of IIA-Morocco (Moroccan Association of Internal Auditors) and vice-president of the Francophone Union of Internal Audit for North Africa and the Middle East. Gimba’s background is in International development, and she has worked in this profession for more than 10 years. She spent most part of her Academic and professional experience in UK, and provided consulting services for a number of donor organizations including the British government Department for International Development (DFID), the World Bank, the European Union (EU), United Nations (UN) Agencies (especially the UNDP and UNESCO), and a number of NGOs. Her specialty in governance (public sector reform, social service delivery and poverty reduction analysis) has afforded her opportunities to support the governments of English speaking West African countries especially the Nigerian governments. She has also used her knowledge and experiences in International Development to support series of Monitoring and Evaluation (M&E), Project Managements programs for governments and NGOs. Andreasik has worked for numerous companies in Poland and abroad as an middle or high level manager. Some of the positions he has held in the past are Marketing Manager for Lediberg Ltd, Translation Engineer for Magit/Corel Poland, Sales Manager for Bortslap/Fabory Poland. He has participated in numerous projects within Poland, cooperating with companies such as Dialog Telekom, Siemens, Inter Cars, etc. He speaks fluent Polish, English, and Russian. Simão has over 17 years experience in the IT field. In 1989 he started and managed his own application development consulting company. Since 1994 he has managed several software development and systems integration projects for Public Administration and Finance clients, providingconsulting with companies such as ICL and Microsoft. Some positions he has held are Project Manager for Microsoft Consulting Services and Managing Director and partner for an IT consulting company. He has expertise in project management and software development methodologies. He speaks Portuguese, English and basic French. Fogang has accumulated over 10 years of experience in the architecture of information system as a consultant, IT manager and CEO. His area of expertise covers Information Technology and project management through training activities, consulting and audit based on international frameworks like PMBOK®, ITIL® and CobiT®. Booysen is an economist with 30+ years’ experience in Business Development and Strategy Implementation. Her focus is on simplifying complex business matters, through the use of image-rich storyboarding and user-friendly techniques and tools, to make it easy for all role players within an enterprise to understand who needs to do what and how to support business goals. With a degree in law and three post graduate qualifications in economics, Booysen is multi-skilled in process management, project management and enterprise development. As a creative and performance orientated individual, she believes that we can always do better than we think we can, and that enjoyment and having fun are key ingredients to success. Ferreira has 30 years of experience in the financial services industry in South Africa, both as a consultant and as a change management and leadership coach. She has been a Program Manager and lead change management consultant for a corporate PoPI Compliance projects in a number of industries over the past 3 years. Ferreira is available to consult regarding change management for strategic projects with the specific purpose of supporting key stakeholders through the change cycle and increasing the likelihood of projects meeting their long term objectives. Fick started her IT career as a programmer when she joined Sanlam in 1982. She joined BPSA in 1988 where she filled various positions as Systems Analyst, Project Manager, Management Information Manager and Information Architect. Since 1999 she has focused her career on project management and change management consulting, working in the Oil and Financial industries. She has extensive experience of ERP systems implementations, systems development, data warehousing, and data migration projects. Many of these projects were delivered through virtual teams located in up to five continents. Agent has close to 40 years of experience in the construction industry, leading complex projects, programs and portfolios for state and private clients by providing architecture design, urban planning, consulting and project management services. He worked as chief of the Architecture Department in Romproiect, coordinating very large and complex projects. He later started his own business in the field of architectural design and interior design, managing projects including the biggest hospital in Romania. He created a system of technical specification which is now used in Romania by most design companies. Agent is an experienced project manager and project management instructor. He speaks fluent English and French, as well as basic Italian. Morán has over 25 years of experience in project and program management, specializing in IT and Telecom environments. He has experience working on large, complex and multicultural projects. He was responsible for the Euro conversion Program at Lucent Technologies EMEA. Over the past 11 years he has been focused on everything that has to do with project, program, portfolio, and PMO management. He has helped to develop and improve the project management culture in a variety of companies in the areas of Telecommunication, IT, Banking, Engineering, and Energy all over the world. Morán’s more than ten years of experience in project management services and training companies has given him the chance to learn about the best and worst practices in a variety of environments. Afin de satisfaire nous clients d’entreprises multinationales, nous délivrons nos services en langue française, anglaise, allemande, espagnole et portugaise. TenStep France fait partie du réseau mondial TenStep présent dans 30 pays. Vous pouvez évaluer les processus avant de vous engager, car les méthodologies de gestion qui servent de point de départ sont publiées sur Internet. La licence des méthodologies TenStep permet d’obtenir, dès le départ, des résultats beaucoup plus rapides et beaucoup plus économiques que si l’on devrait partir de zéro. Les méthodologies et les services couvrent tous les secteurs significatifs : management de projet, gestion du cycle de vie, bureau de projets et gestion de portefeuille de projets. Ils incluent tous les processus, procédures, et techniques nécessaires, les meilleures pratiques, les modèles, les cours de formation et l’accès à la base de données « savoir-faire » de TenStep. Toutes les solutions offrent des options multinationales et multilingues, aussi bien au niveau des méthodologies que des services. Certification en tant qu’évaluateur d’organisations « aPRO Recognized Assessor », Association nord-américaine de management de projet, asapm (IPMA USA), États-Unis. Certification « Prince2 Practitioner », PM Group, entité officielle d’accréditation de l’Office of Gouvernement Commerce, Royaume-Uni. Certification « Project Management Professional », PMP, du Project Management Institute (PMI), États-Unis. Certification « TenStep Project Manager », Académie TenStep, Atlanta, États-Unis. Diplôme postuniversitaire en marketing international, Université de Reutlingen, Allemagne. Diplôme en science politique, Université de Berlin, Allemagne. Certification en tant que traducteur et interprète allemand-espagnol, Bureau de Certification de l’État de Berlin pour les Traducteurs et Interprètes. M. Orlando CASABONNE a accumulé une solide expérience en management chez Daimler-Benz, où il a occupé différentes fonctions de gestion et géré des projets nationaux et internationaux dans les domaines de la communication d’entreprise, du développement de réseaux de ventes, du contrôle de gestion, des produits financiers et du management général, et ce, en Allemagne, au Japon, en Angleterre, au Mexique, en Argentine, en Espagne et au Portugal où il a fondé et dirigé la filiale portugaise du groupe de 1993 à 1998. Depuis 1998, il agit comme entrepreneur, conseiller d’entreprise indépendant et formateur, plus particulièrement dans les domaines du management de projet, de mise en place de bureaux de projets et du management de portefeuille de projets. Connaissances linguistiques : espagnol, allemand, anglais, français et portugais. Docteur (PhD) en Études en Européennes, Université d’Exeter, Royaume-Uni. Maîtrise (MBA) en Administration des Affaires, Université d’Anvers, Belgique. Certification d’instructeur au leadership game DiG® (Discovery Innovation Growth). Après une carrière universitaire, Mme Florence TERRANOVA a acquis une solide expérience en management de projet au sein du secteur public dans les domaines suivants : développement économique local, création de PME, mise en place de projets RH (évaluation des performances et formation). En qualité de consultante internationale, elle a participé à plusieurs projets de coopération au développement financés par l’Union Européenne (EUROPEAID, PHARE, TACIS). Florence TERRANOVA est également formatrice en gestion de projet et en planification stratégique pour les administrations et entreprises publiques. Sa motivation : aider les individus et les organisations à atteindre leur plein potentiel. Maitrise en Ingénierie électronique et télécommunication, Université de Padoue, Italie. Certification ITL fondation (ITIL® v3 program, UK OGV). Certification « Prince2 Foundation et Partitionner », Prince2 program, Royaume-Uni OGC. Certification « Project Management Professional », PMP, du Project Management Institute (PMI). Membre de la PMI France/Paris Chapitre. Fort de son expérience dans le domaine des réseaux et des télécommunications, Zamolo a travaillé pendant plus de 16 ans en tant que chef de projet pour les entreprises IT et numériques françaises et les sociétés de télécommunications. Il a occupé plusieurs postes chez les opérateurs des télécommunications. Comme consultant en management de projet a développé des solutions techniques, de la conception à la validation, chez une variété de clients. Il travaille actuellement comme consultant en management de projet axé sur la gestion de projets IT, le bureau de gestion de projet et la gestion de portefeuille. à mettre-en-œuvre ou à optimiser la gestion de projets, d’un bureau des projets et du portefeuille de projets. Des partenariats stratégiques avec des compagnies de renom telles que Microsoft et Red Hat dans le domaine des solutions informatiques, ACRONIS dans les solutions de sauvegarde et de reprise après incident et TenStep dans les méthodologies de management de projet nous permettent de fournir des solutions selon les règles de l’art. TenStep Cameroun fait partie du réseau mondial TenStep présent dans 30 pays. Les méthodologies et les services couvrent tous les secteurs significatifs: management de projet, gestion du cycle de vie, bureau de projets et gestion de portefeuille de projets. Ils incluent tous les processus, procédures, et techniques nécessaires, les meilleures pratiques, les modèles, les cours de formation et l’accès à la base de données « savoir-faire » de TenStep. Toutes les solutions offrent des options multinationales et plurilingues, aussi bien au niveau des méthodologies que des services. Certification « Microsoft Certified Trainer ». Certification « Microsoft Certified Systems Engineer. Électrotechnique – option informatique technique. École Supérieure Technique d’Aachen, Allemagne, de 1989 à 1993. M. Auberlin TAKUGANG FOGANG cumule plus de 10 ans d’expérience dans le domaine de l’architecture des systèmes d’information en tant que Consultant, Directeur informatique et Chef d’entreprise. Son domaine d’expertise touche les technologies de l’information et le management des projets à travers les activités de formation, de conseil et d’audit basées sur les principaux référentiels internationaux tels que PMBOK, ITIL et CobiT. Connaissance linguistique : Français, Allemand, Anglais. « TenStep Côte d’Ivoire » a repris les activités en management de 2B Consulting CI, prestigieux cabinet-conseil en management et gouvernance des systèmes d’information d’entreprise existant depuis 1993, et dont la mission principale est l’amélioration et l’optimisation des performances organisationnelles de ses clients (Qualité, KPI, ROI et KRI). Ainsi, avec les 20 ans d’expérience locale acquise par 2B Consulting CI dans les secteurs des télécommunications, banques/finances, mines/énergies, services, gouvernements et organisations internationales, le savoir-faire mondialement reconnu et primé par le PMI du groupe TenStep. TenStep Côte d’Ivoire fait partie du réseau mondial TenStep présent dans 30 pays. Les solutions: l’implémentation d’applications de gestion en management de projet tels Microsoft Enterprise Project Management et Oracle Primavera. Tous les consultants, chefs et directeurs de missions TenStep Côte d’Ivoire sont très expérimentés, certifiés PMP® et TenStep PM® et sauront évaluer efficacement vos besoins pour apporter des réponses à vos problématiques projets, afin de vous permettre d’atteindre vos objectifs et de réaliser votre stratégie d’entreprise. Certification « Project Management Professional », PMP, du Project Management Institute (PMI), Pennsylvanie, États-Unis. Diplôme universitaire en génie logiciel, option management. M. Steve BLESSON possède plus de 12 ans d’expérience internationale en leadership, management des programmes, projets, processus et systèmes d’information, laquelle expérience il a acquise en tant que consultant, cadre et dirigeant chez Microsoft WECA, Orange CI, MTN Guinée, Aeroplan Air Canada, Amdocs Canada, Interfacing Technologies Canada et 2B Consulting CI. Il est parfaitement bilingue français et anglais, et a de bonnes notions de l’arabe et de l’allemand. Il est membre fondateur du Chapitre PMI de la Côte d’Ivoire (PMICIC en création) et Président Directeur Général de 2B ENTERPRISES GROUP. Il occupe des fonctions de conseiller en management d’entreprise, génie industriel, restauration et grande consommation. TenStep Morocco, est le l’aboutissement d’un partenariat de plus de 10 ans entre TenStep, Inc. aux États-Unis et la société Consilium au Maroc. Afin de consolider cette collaboration TenStep s’engage davantage au Maroc à travers Tenstep Morocco pour offrir un large éventail de services de conseil en management de projet, en s’appuyant sur l’apport des technologies de l’information. Pour répondre à cet objectif, Consolium s’est associée avec Dyn IT Maroc (Microsoft Gold Partner) et des experts de renom. TenStep Morocco offre des services de conseil en management de projet, d’encadrement (coaching), de formation et de mise en place de solution « Entreprise Project Management », EPM, pour accompagner les organisations aussi bien publiques que privées à mettre en œuvre leurs stratégies et leurs objectifs par la réalisation de programmes et de projets. Cela comprend la mise en œuvre des meilleures pratiques de management de projet, la mise en place des PMOs (Project Management Offices), l’établissement de processus de management des portefeuilles, programmes et projets. Les organisations peuvent ainsi utiliser la gamme complète de services offerts par le réseau mondial de TenStep. Notre vision est d’être en 2020 la référence au Maroc et en Afrique de l’Oest en management par projets, en s’appuyant sur le réseau TenStep et sur les technologies de liInformation, en tant que levier facilitant la transformation des organisations. Doctorat en Systèmes d’Information & MIAG – Paris Dauphine. CISA : Certified Information System Auditor : Expert en Audit Informatique. CRISC : Certified in Risk and Information Systems Control. CIA : Certified Internal Audit : Expert en Audit Interne. CAS : Certificat d’Administrateur de Société. M. Taieb DEBBAGH, Consultant sénior en gouvernance, stratégie, management de projet et PMO, coordination et direction de grand projets transverses. Docteur en Informatique des Organisations avec une trentaine d’années d’expérience dans le management au niveau national et international. Son expérience comprend le pilotage de projets structurants autour des Technologies de l’Information au sein de plusieurs organisations publiques et privées. Taieb a piloté la stratégie nationale « Maroc Numeric » tout en ayant la responsabilité des axes « Formation » et « Cybersécurité ». Son expérience à l’international l’a amené à diriger le PMO de l’Union International des Télécommunications (UIT) en introduisant une méthodologie intégrée en Management de projet conforme au PMBOK. Taieb est également co-auteur de la traduction en français de l’ensemble de la documentation de Method123. Ces expériences lui permettent d’intervenir sur des missions à forte valeur ajoutée notamment dans les domaines du développement stratégique des organisations, la mise en place de PMO, ainsi que dans le pilotage de projets de transformation et de conduite du changement. Actuellement Taieb est coordinateur et intervenant dans les cycles de certifications des administrateurs de sociétés (Institut Marocain des Administrateurs). ISO 27001 Lead Auditor : Responsable D’Audit des SMSI. ITIL : Information Technology Infrastrucure Library. Master en Sciences de Gestion à l’université d’Auvergne. Maîtrise en Systèmes d’information à l’université de Versailles. DEUST : Diplôme des Etudes Universitaires Scientifiques et Techniques Université Montpellier. M. Mounim ZAGHLOUL dispose d’une expérience de 14 ans dans l’Audit des systèmes d’information et le Management de projet. Il a participé à de nombreux projets de conseil, de mise en œuvre et d’audit pour des entreprises et organisations diversifiées. Il anime plusieurs formations sur l’audit la sécurité des systèmes d’information et le management de projet. Il est Vice Président de l’IIA-MAROC (L’Association Marocaine des Auditeurs & Consultants Interne, il est membre de l’ISACA, Information Systems Audit and Control Association) il est aussi Administrateur chargé de la formation et la certification PMP au sein de l’AMMP (L’Association Marocaine de Management de projet). Ses interventions reposent souvent sur l’utilisation des référentiels suivants: Gouvernance SI (COBIT V4, VAL IT) ; Management de la Sécurité SI (ISO 27001, ISO 27002) ; Management des risques SI (EBIOS/COSO); Management des services SI (ITIL/ ISO 2000) Management de projet (Guide PMBOK® / TenStep). Microsoft Certified Managing Project and Portfolios with Project Server 2013. Master en Gestion de Projet – EFS Genève 2011. Membre du PMI – Project Management Institut. Président du Chapter PASS – SQL Server. MVP – MCITP – ITIL. Professeur au sein de l’Université Internationale de Rabat. M. Anas BELABBES, Fondateur et Directeur Général – DYN IT Maroc. Consultant Sénior en management de Projet et travail collaboratif, Expert en Plateforme de Base de Données et Informatique Décisionnelle. Ingénieur en System d’Information avec 16 années d’expérience en SI au niveau national et international. Il a travaillé sur des Projets de mise en place de plateformes de données et de projets de collaboration autour de la solution EPM (Entreprise Project Management) au sein de plusieurs administrations publiques et entreprises du secteur privé. Anas est un référant Microsoft, sa compétence est reconnue et recommandée par l’éditeur avec le titre : MVP – Most Valuable Professional. « TenStep Québec » est une entreprise spécialisée dans le conseil et la formation en gestion de projet. Nous accompagnons les entreprises dans le développement de leur organisation en les aidants à optimiser leurs processus de projets. Nous offrons à notre clientèle une gamme de produits et de services aussi variés que la direction de projet, l’audit de projet, l’accompagnement de projet, la mise en place de méthodologies en gestion de projet et de gestion de portefeuille, la mise en place de bureaux de projet et enfin la formation. Fiers de leur association avec TenStep, les consultants de « TenStep Québec » sont heureux de pouvoir offrir une solution complète dans le domaine de la Gestion de projet. TenStep Québec fait partie du réseau mondial TenStep présent dans 30 pays. Membre du chapitre de Montréal, Québec (Canada) du Project Management Institute (PMI). Certification TenStep Project Manager (TSPM™) de TenStep Academy, États-Unis. Baccalauréat en Mathématique-Informatique de l’Université de Sherbrooke, Québec, Canada. Mme Janie PELLETIER cumule plus de 25 ans d’expérience en informatique dont 21 ans dans le monde de la consultation et plus spécifiquement, 14 ans dans le grand monde de la gestion de projet. Elle a effectuée plusieurs mandats en tant que chef de projet, directrice de projet, directrice de bureau de projet ou encore à titre de conseillère. Elle s’est particulièrement intéressée ces dernières années au démarrage de bureaux de projet et à la mise en place de bonnes pratiques en gestion de projet et gestion de portefeuille. En tant que co-directrice, elle a participé au démarrage de Communauté de pratique sur les bureaux de programmes (CoPMO) du PMI Montréal. Baccalauréat en informatique de gestion, Université du Québec à Montréal, Québec, Canada. M. Michel CHASSAT a plus de 25 ans d’expérience dans le monde de la consultation et plus spécifiquement, dans le mode de la gestion de projet. Il a réalisé de nombreux projets à titre de Directeur de projet pour différent type d’industrie. Son expérience des dernières années a été concentré principalement le domaine de la finance. Il a également travaillé dans le secteur de la téléphonie, de l’hydro électricité et le domaine de l’aéronautique. Il a géré avec succès des projets de différentes tailles. Il s’est particulièrement intéressé ces dernières années à la mise en place de services en conseil stratégie, en gestion de projet et en gestion du changement dans les grandes entreprises. La mise en place de bureaux de projet (PMO) et de gestion de portefeuille de projets. L’implantation de systèmes informatiques de gestion de projet sur la base du package Microsoft EPM. L’organisation de séminaires de formation en matière de gestion de projets (intra et inter-entreprises) et de certifications (TenStep Project Manager et le certificat PMP du PMI). Nous offrons aussi d’autres services tels que la conduite de projets, l’audit de projet, ainsi que l’accompagnement en matière de gestion de projet. TenStep Tunisia fait partie du réseau mondial TenStep présent dans 30 pays. Certification “TenStep Project Manager” (TSPM™) – TenStep Academy – États-Unis. Diplôme d’expert comptable – Université IHEC Carthage Tunis – Tunisie. Diplôme BTS en Gestion d’entreprise – Université Aix-en-Provence – France. Certificat d’études juridiques – INTEC Paris – France. M. Néjib SFAYHI dispose d’une expérience de plus de 30 ans dans le domaine du consulting en matière de management de projet et dans l’audit des systèmes d’information financiers. Il a participé à de nombreuses missions de conseil, ainsi que de projets de conception et de mise en œuvre de système d’information et d’organisation pour plusieurs entreprises et organisations. Il anime plusieurs formations sur le management des projets, la gestion d’entreprise et l’audit. Il a assuré des cours dans trois universités tunisiennes (IHEC, UVT et UMLT). Néjib Sfayhi est aussi l’auteur de deux ouvrages de traduction en français d’une Publication de l’IFAC (International Federation of Accountants) sur l’audit des petites et moyennes entreprises (ISA GUIDE FOR SMP – La première édition 2007 et la troisième édition 2011). Diplôme d’ingénieur principal en informatique, Ecole nationale des sciences informatiques, Tunisie. Certification MCSD.NET, MCDP.net, MCDBA SQLSERVER 2000. MCTS SQLSERVER 2005-2008, OCA oracle 9i. Certification Architecte des solutions EPM 2007, MCITP : Enterprise Project Management. M. Mohamed GHODBANE a plus de 12 ans d’expérience dans le domaine du consulting et de la gestion des projets. – A réalisé de nombreux projets de mise en place des solutions EPM 2003/2007 dans différents secteurs : informatique, télécommunication, pétrole, banques et différents secteurs d’assurance et de services (ETAP, ONETECH, Attijari Banque, Orange Telecom, etc.). Connaissance linguistique : Arabe, Français, Anglais.